The South Africa’s elite police unit Hawks said it investigating the 12 February kidnapping. The Foreign Office (FCO) has warned of a threat of attacks by Islamist militants on foreigners in South Africa after two British nationals were kidnapped in a small town there, but police said they had no evidence terrorists were behind the incident. Africa’s most industrialised country has a large expatriate community and attracts many tourists but has seldom been associated with Islamist militancy. No attack followed a similar warning by Britain and the US in June 2016. 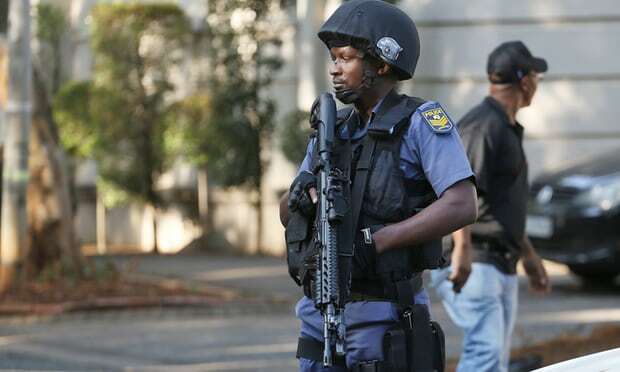 The Hawks, South Africa’s elite police unit, said the force was investigating the kidnapping, which took place on 12 February, but said it was unaware of anything linking the crime to terror groups. The FCO said on its website the main threat was from Islamic State. In an email to Reuters on Thursday, the FCO said: “We have updated our travel advice to include this recent incident,” referring to the kidnapping. “Our travel advice already states that terrorists are likely to try to carry out attacks in South Africa. This remains our assessment.” The FCO declined to give details on the kidnapping. A spokesman for the Hawks, Lloyd Ramovha, said two suspects had been arrested in connection with the kidnapping of the British couple. The couple, a 74-year-old man who moved from Britain to South Africa in the 1970s and his South African-born wife, 63, both have British and South African citizenship. Security officials and experts said there were no known Islamist militant groups operating in South Africa, where Muslims make up fewer than 2% of the population. The FCO said terrorists were likely to try to carry out attacks in shopping areas in major cities and said news reports suggested a number of South African nationals had travelled to Syria, Iraq and Libya and were likely to pose a security threat on their return. Jasmine Opperman, the director of southern Africa operations at the Terrorism, Research and Analysis Consortium think tank, said the British alert was “alarmist”. South Africa’s vulnerability for attack is there, but are there solid indications of attacks now as we sit here? There are none,” she said in an interview with the media.